This Faridabad Bakery Makes Stellar Red Velvet & Honey Walnut Cookies! Our love for bakeries only grows stronger when we come across one like this one. Brioscaa, in sector 15 market in Fardiabad, is one of those local bakeries that checks all the boxes. They have quite the selection of breads — from kulchas to bagels and bread sticks — which they bake in-house. Yep, they don on their baking caps on the daily and churn these out. 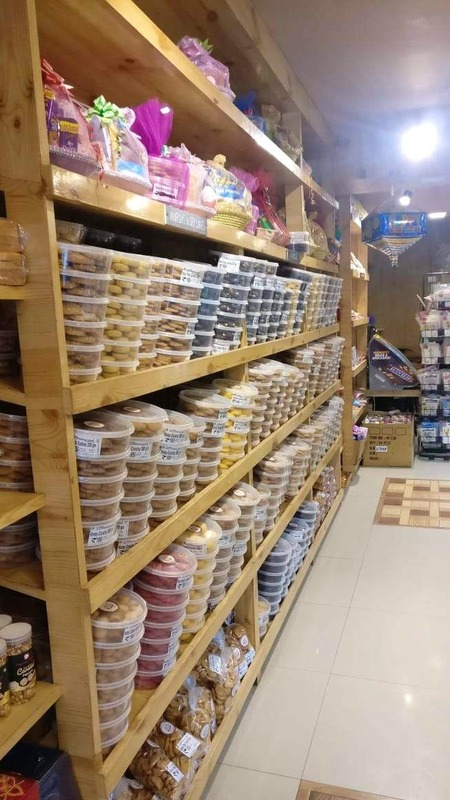 They also have a massive variety of biscuits and cookies (the kind you'd find in your grandma's cupboard), but they've added some twists to it. They're doing them in different flavours — think sesame seed cookies, honey crunchy biscuits, red velvet, flax seed, custard and a lot more (all made in-house). These are the biscuit-y type of bite-in cookies, not the melt in your mouth kind, just to be clear – delicious nonetheless! You'll also find the regular bakery fare here — sandwiches, brownies, donuts and more. Some of the sandwiches and other savoury grub didn't look super fresh, but we'll give them the benefit of doubt since we didn't try it.